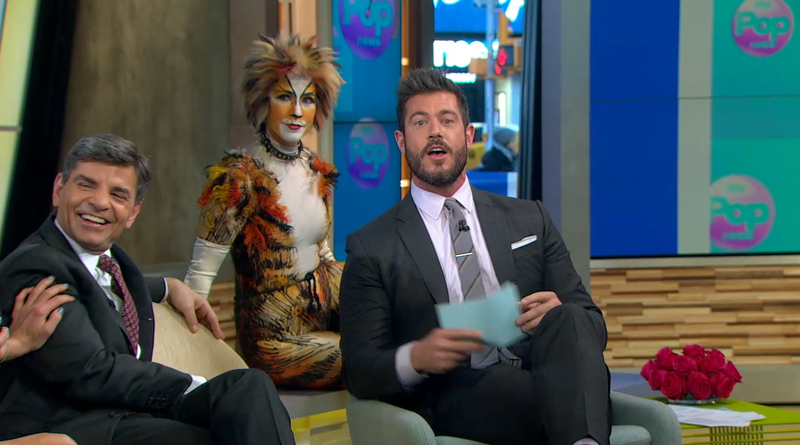 CATS is coming back to Broadway at last! July 14th, 2016! Neil Simon Theatre. July 14th, for previews, then official opening Aug. 2, 2016. No word on costume designs. My feeling is that they will recycle the London designs from another European production as well as the set. Only 6-7 months to create whole new costumes is pretty tight. Maybe they can do it. Not sure who the costume house would be then though. But we'll have the new Griz, new Tugger, and the horrible Growltiger number and designs. Just have to get used to it. Can't wait to find out the cast though. Nicole returning, meh, not interested. The rest of the cast, YES! I hope we get a few Broadway veterans, maybe like Ken Page, and some Troika veterans too. Hope some of my friends will audition and put their hats into the ring. They should assemble a great cast! Going to definitely see it with my friend Hector and I'm planning to go and see it the first week it opens, probably staying until that weekend, seeing 4 shows at least! Got to get my money's worth. I can't wait, I'm so EXCITED!!! The creative team for the new Broadway production of CATS includes Mick Potter (Sound Design), Natasha Katz (Lighting Design), John Napier (Scenic & Costume Design), choreography by Andy Blankenbuehler, based on the original choreography and associate direction by Gillian Lynne, and direction by Trevor Nunn. A production spokesperson told Playbill.com that this will be an entirely new production based on the 2014 London Palladium revival, but with new dances by Broadway's red-hot Andy Blankenbuehler, choreographer of Hamilton and In the Heights, based on the original choreography and associate direction by Gillian Lynne. The London revival that featured several musical updates, including a rapping Rum Tum Tugger. So my feeling is that, yes, the costume designs will be London's. Goodbye Broadway classics forever. new dances by Broadway's red-hot Andy Blankenbuehler, choreographer of Hamilton and In the Heights, based on the original choreography and associate direction by Gillian Lynne. 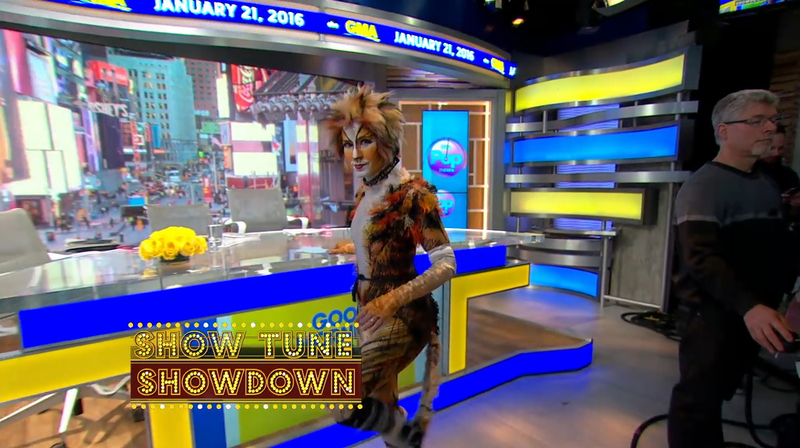 This does not bode well....reworking Tugger only, or totally new choreography? How much flash in the pan do we need? 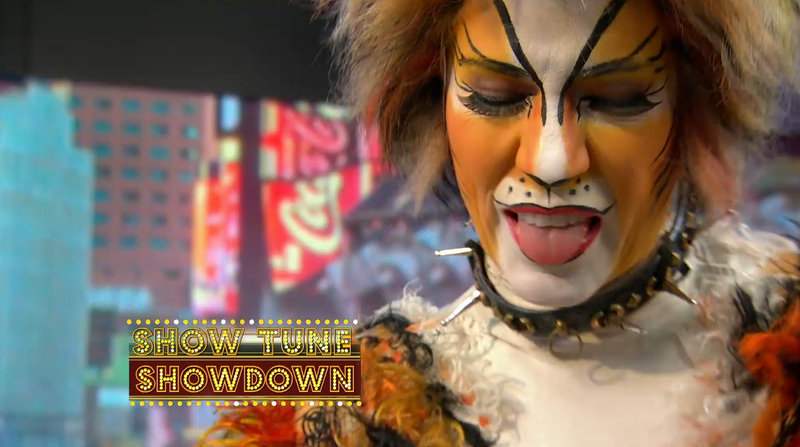 CATS is a classic dance musical. I'd hate to see something tarnished. Oh dear, this is awful! If this is from "Hamilton" I don't want to see it! It would be AWFUL for CATS! ARRGGGH!!! Say "Helllllooo" to CATS 2 or CATS II or CATS: What the Heck Happened...? Some people enjoyed this and maybe this might draw a lower age demographic, but I prefer the original musical that fit the songs to the TSE poetry. When ALW first wrote his score, did he not say something about the TSE lyrics having its own rhythm? Rumblepurr, the Old Writer Cat. I’m glad to see that I’m not the one who has mixed feelings about this. On the one hand I'm excited and happy that CATS is coming back on the other we will get stuck with that ugly Tugger and Grizabella, pirates that look like chimney sweeps and whatever else they've done. That being said I am co-owner of a group on F/B called “Preserve the Magic of CATS” where we discuss the changes that have been made to the show. Please stop by and stay awhile. I'm planning to see the show with him and I'll let you and everybody know what he thinks of the new changes too. Thanks, Tigress for the link! Yes, I totally agree with you: if it's not broke, don't fix it! However, I'd love it if Webber includes "Cat Morgan" into the mix. I'd love a new character and new song. That's really what Webber should have done if he wanted a "new version." Just adding that little change would have made the show interesting as well. I think that Webber is suffering from "George Lucas Syndrome." I agree, a new number would be great. Maybe refresh the choreography, the set and even the costumes and makeup, but the changes he’s made are just too drastic for my taste. It’s like, he didn’t refresh the show, he overhauled his limo then traded it in for a lemon. On a side note when are the Tony Awards? Perhaps we’ll get a glimpse of the new show at the awards. Something to keep an eye out for, and perhaps the morning shows as well. I never watch them but if I knew CATS were going to be on I’d suffer through one or two to see them. That's the same actress that I think was Demeter from those photo shoots in front of School of Rock a few months ago. PS: I sometimes forget I'm wearing a wedding ring too! Last edited by VTWC on Fri Jan 22, 2016 1:28 pm, edited 2 times in total. Hector will probably go each weekend and get standing room tickets. He'll be sure to keep me updated each weekend then. I think it's an open-ended run, they haven't announced how long it's going to run. So I may do my end of summer trip and then plan another trip for late fall or early spring then. I want to see it several times during it's run. Going to blow all my vacation funds this year on the Broadway trip. It's well worth it, I know. A lot of my Facebook friends, past cast members of Troika, and some regionals are dying to audition for it. I'm not sure if they can do it-they have to have Equity cards first. Chris Stevens is Equity and I hope he goes for it. Eva Kosmos I've love to see get a part as well. Even Anna McNeely joked that she'd show up for the auditions in a wheelchair! I also hope we can get Ken Page back to reprise his Broadway role, that would be something. Just hope that some Troika members will reprise their roles again. As for costumes I hope they can purchase the Troika lot. They have such a vast costume inventory. All in storage now. If they can fit the old costumes to the actors that would be great. Otherwise they would have to get something from one of the European productions, or get a costume house to make it in the States like Parsons-Meares. Troika has a great costume shop but I think they will probably do the build in New York. So I hope that Parsons gets the job. I do hope they do a "combo" like the Australian production has now. A mix of the two designs, London and Broadway. Or stick to the old Broadway designs. But I have a feeling that they will co-opt London's designs instead. Auditions and Casting Call announced! Morning shows, called it! lol No but seriously thank you for the link. Are those your pictures or can I snag them for my site?